You’re reading novel Dragon-Marked War God Chapter 1310 online at LightNovelFree.com. Please use the follow button to get notification about the latest chapter next time when you visit LightNovelFree.com. Use F11 button to read novel in full-screen(PC only). Drop by anytime you want to read free – fast – latest novel. It’s great if you could leave a comment, share your opinion about the new chapters, new novel with others on the internet. We’ll do our best to bring you the finest, latest novel everyday. Enjoy! As a Natal Weapon of Jiang Chen, the Heavenly Saint Sword had always maintained its fundamental strength. As Jiang Chen's cultivation rise, the sword's strength increased as well. Currently, the sword had already become a Peak Divine Rank Immortal Weapon. Its combat strength and power were even scarier than any ordinary Great Luo Immortal Weapon. When the master becomes extraordinarily powerful, so did his Natal Weapon. Only then could the master and the weapon be compatible. Seeing Jiang Chen's attack, Huangfu Zhan's expression changed instantly. Those who hadn't fought with Jiang Chen would never know how scary Jiang Chen was. Huangfu Zhan had the same feeling as Yun Canglan earlier. He could feel a tremendous sense of crisis. That was the crisis of an impending death. Jiang Chen's speed of attack was just too fast. Huangfu Zhan didn't even have a chance to avoid it. All he could do was to resist head-on with all of his might. Furthermore, his overwhelming pride wouldn't allow himself to escape. Huangfu Zhan shouted, he lifted his combat blade up high. An extremely dazzling blade light erupted from the terrifying combat blade. An enormous sword a dozen meters in size emerged and lunged at Jiang Chen. The dragon-shaped sword Qi and the might of the combat blade collided, it created a blinding flash of light and an enormous spark, creating a sea of fire. Huangfu Zhan's combat blade couldn't resist Jiang Chen's Heavenly Saint Sword eventually. It was slashed into half on the spot. This scene was even more terrifying when Yun Canglan's Turning Clouds Palm was cut in half. Everyone knew that the blade was a Peak Divine Rank Immortal Weapon. How could such a weapon be destroyed so easily? No one could imagine how powerful Jiang Chen's combat sword actually was. Huangfu Zhan was sent flying away, spurting out blood along the way. Apparently, he had suffered a serious shock from the blow just now. The Patriarch of Huangfu Family planned to gift a true Great Luo Immortal Weapon to Huangfu Zhan the moment he returned from this expedition. He wouldn't have imagined that his son would fall in this ancient tomb. He only got to stabilize himself after flying for a far distance. Looking at the broken combat blade in his hand, emotions were stirred in his heart. There was no way that he could accept such an outcome. Jiang Chen was simply just too scary and had exceeded his comprehension. He finally understood that he was no longer a match for Jiang Chen. "Jiang Chen, I will never let today's matter rest." Huangfu Zhan left a malicious remark, then spun and fled. There was nothing else that he could do besides running away. He never had any hope that Jiang Chen would show him any mercy as that was only a wishful thinking. "Want to flee? It's already too late. Five Elemental Spheres." How could Jiang Chen give him the chance to escape? If Huangfu Zhan had chosen to leave earlier, perhaps there would still be a chance for him to escape. His combat strength was after all very powerful. If he couldn't fight, then it wouldn't be a problem for him to run away. However, now that he had been severely injured by Jiang Chen, it had become very difficult for him to escape. The Five Elemental Spheres spread outwards to form an invisible and inescapable net, giving Huangfu Zhan no chance of escaping even if he was granted with two extra pairs of wings. Upon seeing what had happened, Tuo Hai's expression changed greatly. After witnessing Jiang Chen's power, he knew that there was already a gap between him and Jiang Chen. At this time, if he still didn't run away, he would lose his chance forever. Huangfu Zhan would die for sure and he absolutely didn't want to end up like Huangfu Zhan and Yun Canglan. As for vengeance, he could always settle it some other day. "Senior Brother Bu, help me stop Tuo Hai." Jiang Chen shouted. Even after killing Huangfu Zhan and Yun Canglan, he wouldn't let Tuo Hai go. The conflicts between him and Profound Sun Sect started much earlier than his conflict with Yun and Huangfu Family. Today, Tuo Hai must die. After he exterminate Tian Muyun in the future, he would have to strike the other three major powers. At that time, he would conquer the whole One-Line-Sky to realize Ouyang He's dreams and aspirations. Therefore, these geniuses were going to be his enemy sooner or later, and he naturally wouldn't be lenient to them. Bu Qingfeng was still in a daze as he still couldn't grasps Jiang Chen's overpowering dominance, however, Jiang Chen's shout had shaken him off the daze. Bu Qingfeng nodded and appeared before Tuo Hai in a flash, blocking his path. "Bu Qingfeng, step aside." Tuo Hai clenched his teeth. "Tuo Hai, you finally understand what fear is? Why don't you show your heroic spirit and stay and fight with my Junior Brother Jiang? Didn't you want to kill him so badly? If you go and kill him now, I won't stop you." Bu Qingfeng said in a strange tone. Tuo Hai almost coughed up blood. Why is Bu Qingfeng blocking his path? Isn't he just seeking his death by asking him to fight Jiang Chen now? On the other side, a terrible cry was heard. Huangfu Zhan had already died in the hands of Jiang Chen. He was cut into halves by Jiang Chen. It was a miserable way of dying. The Young Master of Huangfu Family had fallen just like that. Every disciple of Huangfu Family mourned loudly. There was nothing else that they could do other than watch their Young Master being killed. Jiang Chen was too overpowering, totally way beyond their reach. Huangfu Zhan's death was like a sharp thorn stabbed into Tuo Hai's heart. He suddenly felt that the world was coming to an end, he couldn't believe that he was actually already so close to death. Tuo Hai's face went red. He swung his combat sword violently at Bu Qingfeng. He had exerted almost all of his strength to launch this strike. Presently, he was hoping for a path to survive, a path to escape from this ancient tomb. This was his final desire and wishful hope. It was a pity that he was equally matched with Bu Qingfeng. In all of their fights, the clear victor had never been determined. Although it was impossible for Bu Qingfeng to kill him, however, it was also totally effortless for Bu Qingfeng to get him entangled in battle. Regardless of how much effort Tuo Hai put in, he wouldn't be able to break free from Bu Qingfeng and leave this place. On the other side, after killing Huangfu Zhan, Jiang Chen raced towards Tuo Hai holding his Heavenly Saint Sword. Jiang Chen's speed was too quick. He appeared in front of Tuo Hai in a blink. At this time, Bu Qingfeng had already withdrawn his attack, he knew that the following matter wouldn't involve him anymore. He shook his head while looking at Tuo Hai and sighed. He knew that Tuo Hai was already finished today. Given Jiang Chen's ruthlessness, he would never give Tuo Hai the chance of surviving. Similarly, Bu Qingfeng's view on Jiang Chen had changed dramatically. Jiang Chen was just way too scary. He felt lucky that he was standing on the same side with Jiang Chen, if he acted just like the other three geniuses had acted - besieging Jiang Chen to seize the Immortal Execution Order. If that was really the case, he was afraid that he would most probably end up just like them. You're reading novel Dragon-Marked War God Chapter 1310 online at LightNovelFree.com. You can use the follow function to bookmark your favorite novel ( Only for registered users ). If you find any errors ( broken links, can't load photos, etc.. ), Please let us know so we can fix it as soon as possible. And when you start a conversation or debate about a certain topic with other people, please do not offend them just because you don't like their opinions. You're reading Dragon-Marked War God Chapter 1310. This novel has been translated by Updating. 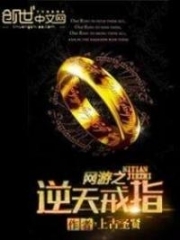 Author: Su Yue Xi already has 2346 views. Current Time is Apr-21-2019 06:30:15 AM.